The word ‘picigin’ doesn’t mean anything particular in Croatian language. Yet, it was the name given to one of the most cherished games that local people play in the sea shallows of Adriatic. 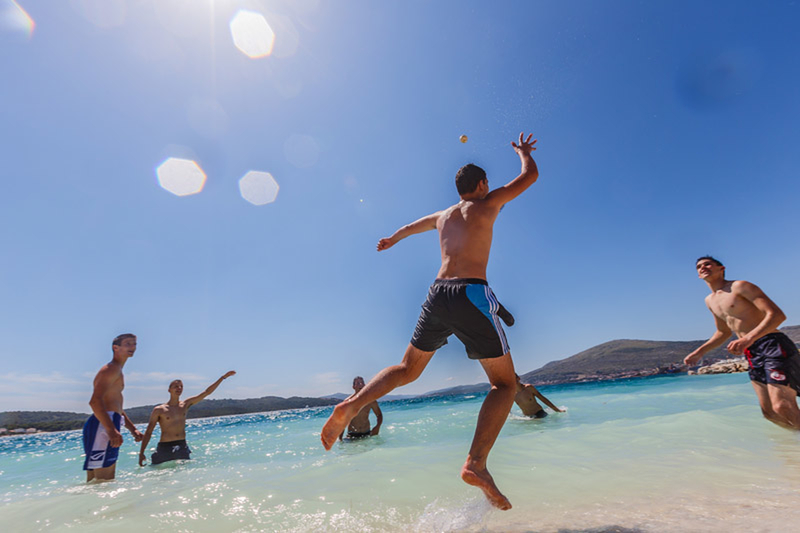 Loved by all generations, it is a kind of national sport to Croatian people living next to the shore. Picigin can be played by two people, but the real fun starts when a large group gathers. For starters, you need a small rubber ball that can float in water. The participants, up to their knees in water, strike the ball upwards and are trying to keep it airborne as long as possible. This means slapping it with hand or even hitting it with feet if necessary. The point is to keep it in air, and prevent it to fall in water. Of course, holding the ball is not permitted. Only small hit-based contacts are allowed. Most people play picigin just for fun, often relying on funny acrobatics to keep the ball flying. However, when rival teams find each other, the game may include point-based gameplay. Each hit to the ball equals one point, these being counted until the ball hits the water. Sometimes it happens almost immediately, and sometimes the game has an impressive duration. 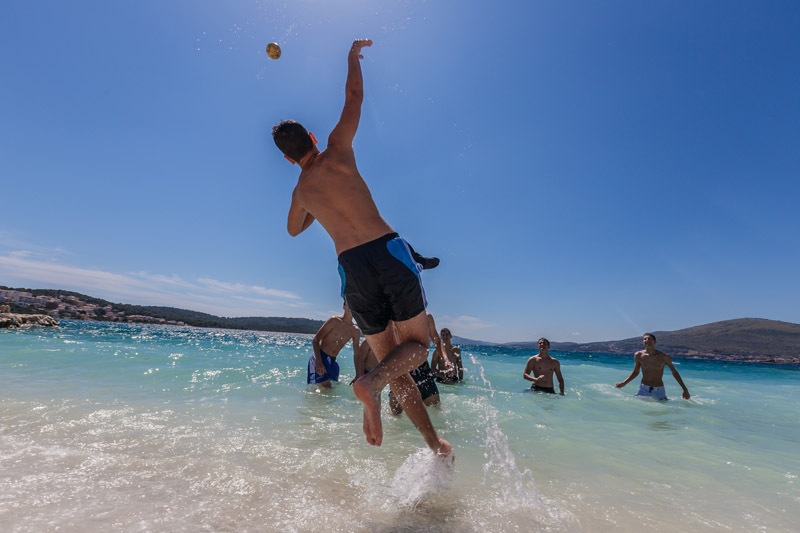 Easy to learn yet hard to master, picigin is a combination of football, handball and child-like splashing in the water. You are bound to see it played somewhere on Croatian coast. Now when you know the rules, you can freely join the play. 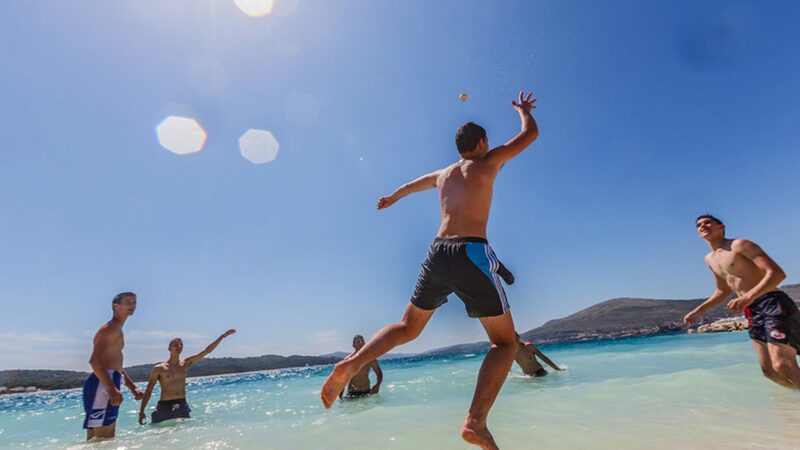 As a matter of fact, if you prove yourself skilful you may try to attend the international picigin world cup, an annual event that usually happens in Split every summer. But be aware, you will be challenged by professional splashers from all the corners of the world. And in case you are wondering, the beautiful images in this article were taken on Okrug Gornji Beach of Ciovo.